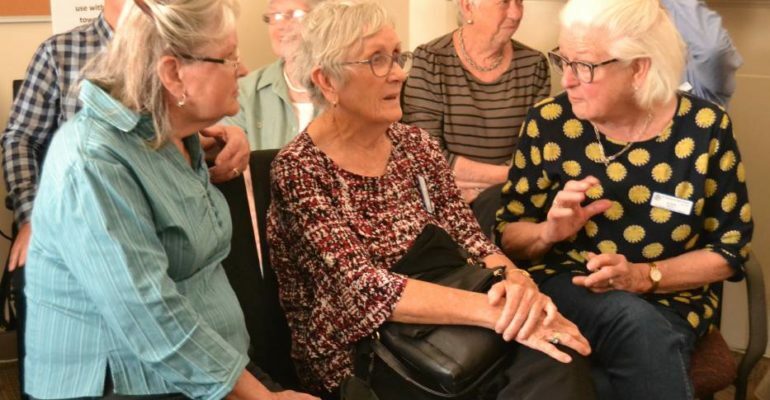 The St Vincent de Paul Society’s Bathurst Care and Support team played host to their colleagues in Dubbo this week to help them develop a similar system for their community. St Therese Conference spokesperson Gerry Kearney said the cottage, located next to the St Vincent de Paul shop on Keppel Street, now offers help through appointments instead of a drop-in service. It also works more closely with other organisations in the community, which it can refer clients to for additional, more targeted support. Dubbo’s St Brigid’s Conference president Ian Wray said he had heard a lot about the new way of working and thought it would be effective for members from the different cities to have discussions about the new model. “We’re very keen to look at the model of Bathurst and try to look at how we can do that in our community,” he said. Mr Kearney said the idea for both cities was to make sure that they were helping clients in a way they wanted and needed to be helped.